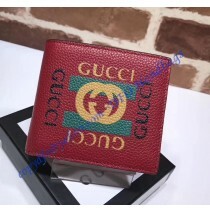 Recently Gucci revealed a Gucci Print Leather Bi-Fold Wallet which looks like it was designed in the 80s. As a matter of fact, the main element here is the retro design, which looks amazing. At the front, we have traditional GG logo, which is well-known for all wallets made by Gucci and which makes the entire creation even better. 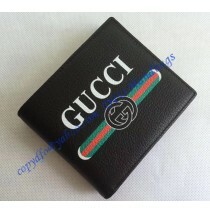 Due to the fact this is a bi-fold wallet, the level of practicality is at the highest level. You also get 8 credit card slots and two compartments for bills and etc. Using the wallet is relatively simple and it will keep all your credit cards and etc. perfectly safe regardless of the fact where you are at that particular moment. Obviously, the this wallet is made from leather, but Gucci used the beige version which not only looks retro but elegant at the same time. The wallet is designed for all women who are looking for fashion creations with a retro design but made with the help of the latest technologies. 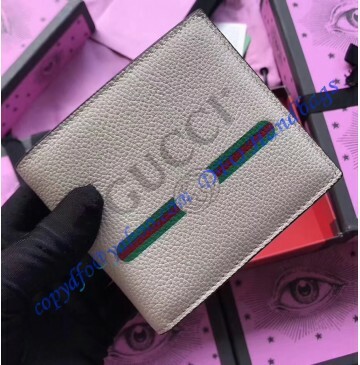 It means that the Gucci Print Beige leather bi-fold wallet comes with a high level of details and each element of the wallet is designed perfectly. The dimensions are 4.3 x 3.5 inches, therefore this isn’t a small wallet. As such, you will get plenty of space for all your bills, cash and as we have mentioned, credit cards. You are definitely going to like the compact and practical design of the unit here. At the end, we can only summarize that the Gucci Print Beige leather bi-fold wallet is a great choice for all women who are looking for a retro wallet to add to their collection. Of course, those who are looking for a practical wallet will benefit from it as well.